The Chikomeni Rural Health Centre in eastern Zambia offers Basic Emergency Obstetrics and Newborn Care services to its clients. / Anne Jennings, Rabin Martin. For the staff at the Matanda Rural Health Center in northern Zambia, help during emergencies was hard to find. The nearest hospital is 60 kilometers away—40 of them over a rough gravel road. Lacking a cell tower, health center staff would walk or ride 27 kilometers in order to call for an ambulance. Until recently, nurse Esther Kabaye was the center’s only clinician; she treated women in the region when complications arose during pregnancy. 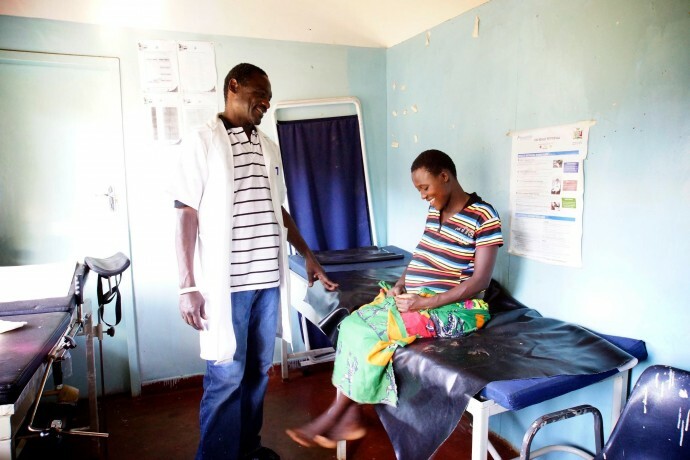 Through Saving Mothers, Giving Life, a public-private partnership launched in 2012, Kabaye began a mentorship program in which she met once a month with a district mentor, developing the necessary skills and knowledge for emergency obstetric and neonatal care. These efforts were rewarded after only a few months, when Helen, a 35-year-old woman from a nearby village, was brought to the health center in labor. She successfully delivered a healthy baby, but afterwards began bleeding heavily. Kabaye identified the emergency as a postpartum hemorrhage, and promptly performed a bimanual compression of the uterus, saving Helen’s life. “I am so happy that I am able to effectively handle emergencies and save lives that would have been lost,” Kabaye said. She now teaches other nurses, amplifying the lifesaving impact that she has had on her own community and others nearby. Stories like Kabaye’s are not uncommon within Saving Mothers, Giving Life districts. USAID is a founding member of the partnership, launched in 2012 by then Secretary of State Hillary Clinton as an innovative, integrated approach to health systems. Saving Mothers, Giving Life seeks to reduce maternal and newborn mortality by increasing the demand for services, facilitating access to lifesaving care, and strengthening health systems at the district level. The initiative is supported by a range of partners, including the governments of Uganda, Zambia, the United States and Norway; Merck for Mothers; Every Mother Counts; Project C.U.R.E. ; and the American College of Obstetricians and Gynecologists. 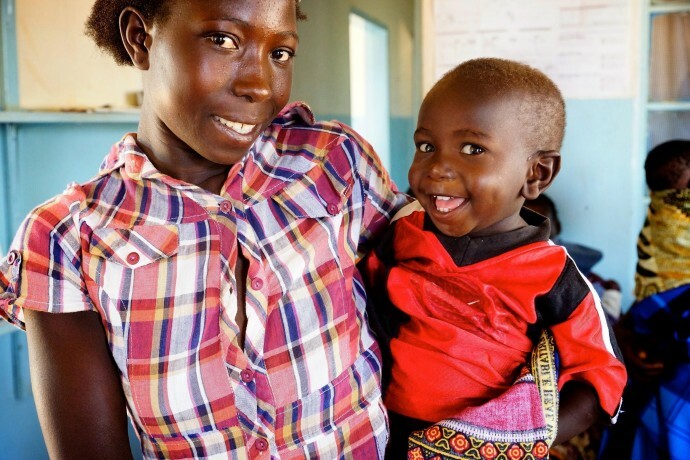 Initially implemented in four districts each in Uganda and Zambia, Saving Mothers, Giving Life emphasizes adequate and timely care for pregnant women and new mothers. 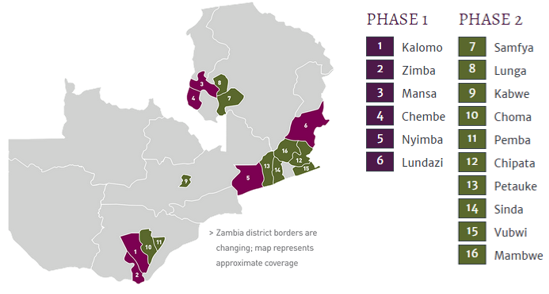 The initiative focuses on three primary delays to lifesaving maternal care: the delay in seeking services, reaching services, and receiving high-quality care. The initiative generated astounding results: The target facilities in both Uganda and Zambia saw a 35 percent drop in maternal mortality in a single year. Based on such astonishing success, the program was expanded in 2014 to an additional 12 districts in Zambia, and another 6 districts in Uganda. This week, I am excited to share the continued success of the initiative with our 2015 Mid-Initiative Report. 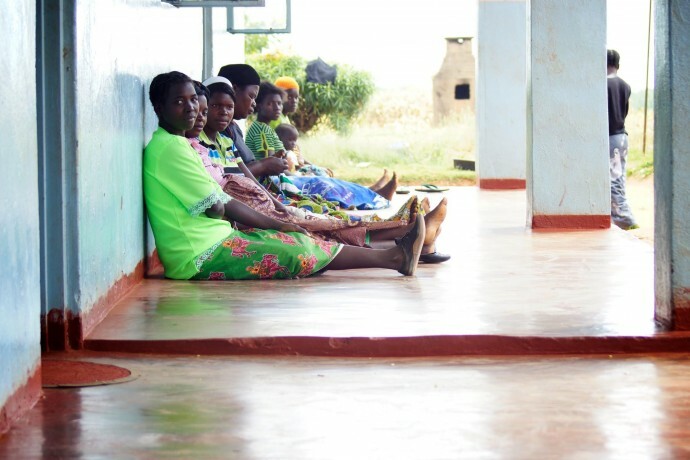 Women queue up for health services at the Chikomeni Rural Health Centre in eastern Zambia. / Anne Jennings, Rabin Martin. With the support of Saving Mothers, Giving Life, the Kabarole District established a Demand Creation Committee to encourage women to take advantage of family planning services, prenatal care visits, and health facility deliveries. The Kabarole District has also used radio broadcasts to educate communities about the risks of giving birth at home and encourage them to give birth in a facility. The initiative is community-owned, sustainable in the long term, and—most importantly—effective. The results from Zambia are equally as encouraging. Since the launch of Saving Mothers, Giving Life, institutional maternal mortality has fallen by 53 percent in the target districts. Nearly 90 percent of women are now giving birth in a facility, compared to 63 percent at the outset of the initiative. And the number of women who have received treatment to prevent the spread of HIV/AIDS to their infants has increased by 81 percent. Mwasemphangwe Zonal Rural Health Centre in Zambia offers Basic Emergency Obstetrics and Newborn Care services to its clients. / Anne Jennings, Rabin Martin. These results are heartening. They speak to the success of the approach employed through Saving Mothers, Giving Life that revolves around localized, evidence-based interventions. Efforts at the district level strengthen districts’ health systems as a whole, while community-level interventions generate demand for services among women and their families by changing social norms. The initiative is active in two dozen districts across Uganda and Zambia, with expansions underway in additional districts, as well as in Nigeria. Yet perhaps even more encouraging is the potential that Saving Mothers, Giving Life has to extend far beyond the borders of Uganda, Zambia and Nigeria. The approach has proven to be successful, and is continuously fine-tuned and developed through extensive monitoring and feedback. The organizing principles employed by Saving Mothers, Giving Life can serve as an example to countries across the globe, who can adapt the model for use in their own communities. The partnership has brought together the diverse strengths of a variety of organizations, contributing substantially to the mission to end preventable child and maternal deaths within a generation. Saving Mothers, Giving Life has amazed and inspired me over the past two and a half years that I have directed the Secretariat, and I am excited to see what we are able to accomplish in two and a half more. Claudia Morrissey Conlon is USAID’s Senior Maternal and Newborn Health Advisor and the U.S. Government lead for Saving Mothers, Giving Life.